An additional death is being linked to the Legionnaire's disease outbreak in New York City that has sickened 97 people in the last three weeks, health officials said Wednesday. That brings the death toll to eight in the outbreak, clustered in the Bronx. In total, 97 cases of the disease, a severe, often lethal, form of pneumonia spread through the air, have been reported in the south Bronx since July 10, city officials said in a statement Wednesday. That marks 11 new cases since the last update from the city Tuesday, and 51 new cases since last Wednesday, when health officials first discussed the outbreak. The Department of Health and Mental Health said those who died were older adults and had additional underlying medical problems. Twenty-two buildings have been visited as "disease detectives" hunt for the source of the outbreak, the city said last Friday. Seventeen of those buildings have cooling towers -- five of those tested positive for Legionella, including one at Lincoln Hospital; one at Concourse Plaza; one at a shopping plaza; one at a Verizon office building and one at the Opera House Hotel. All have been decontaminated. Health Commissioner Mary Bassett reiterated earlier this week that the contaminated cooling towers have had no effect on the water in the Bronx, and that tap water remains entirely safe to drink. The cases have been reported primarily in High Bridge, Morrisania, Hunts Point and Mott Haven since July 10, the Health Department said. Mayor de Blasio said Tuesday officials believed they had identified the only sites that are causing the outbreak, and no additional cooling towers are believed to be contaminated. All of those sites must submit long-term plans as to how they will maintain cooling towers to protect against any future growth of legionella, he said. Those plans are due Friday. Bassett said authorities are confident one of the five cooling towers that tested positive for Legionella is the primary source of the outbreak, though it will likely take weeks to confirm. Now that the contaminated sources have been remediated, she said, authorities expected to see the number of cases continue to go down. "This is the largest outbreak of Legionnaires' disease that we are aware of in New York City," Bassett said Tuesday. "Although we will continue to see cases, we expect the case rate to decline and the number of cases to fall over the coming weeks." On Tuesday, de Blasio said the fact that only a few new cases were added to the outbreak total since Monday "suggests a reduction in the rate of increase and that is good news." But with 11 new cases announced on Wednesday, along with the death, concerns have been renewed. "This is really not good," said South Bronx resident Chenelle Stuckey. "People are dying." Dr. Robert Glatter of Lenox Hill Hospital said the main issue is the incubation period, which is very long -- up to about two weeks. 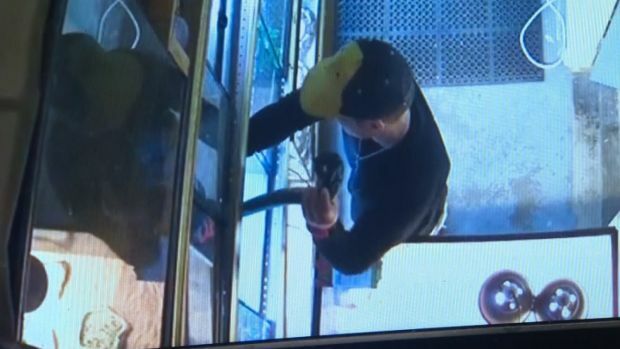 "So we're going to continue to see more cases," he told NBC 4 New York. City officials plan to host a town hall Tuesday, Aug. 11 for area residents with council member Vanessa Gibson to answer questions and concerns about the outbreak. 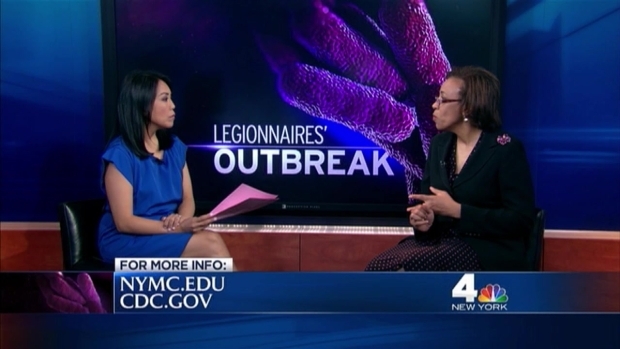 Dr. Jennifer Calder, Associate Professor of Public Health Practice at New York Medical College, joins Pei-Sze Cheng to talk about the symptoms of Legionnaires', and the steps New Yorkers can take to protect themselves from the deadly disease. Both de Blasio and Bassett stressed last week there was no concern for alarm. "People have to understand that this is a disease that can be treated -- and can be treated well if caught early," de Blasio said last Thursday. "The exception can be with folks who are already unfortunately suffering from health challenges, particularly immune system challenges. But for the vast majority of New Yorkers, if they were even exposed, this can be addressed very well and very quickly so long as they seek medical treatment." "Most people who get this, who are otherwise healthy, they get a mild flu, get better, and they don't need antibiotics," he said Wednesday.